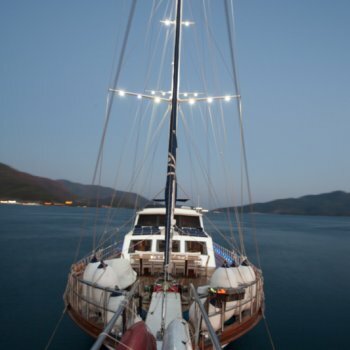 Luxury gulet Turkey cruises are well spent aboard the deluxe gulet Esma Sultan 2 gulet charter in the Mediterranean and Aegean seas. 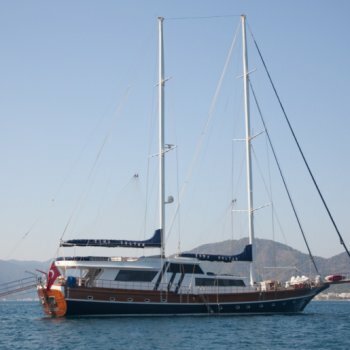 As a part of the Esma Sultan fleet, this luxury boat charter offers a modern gulet design and 24 meters in length. 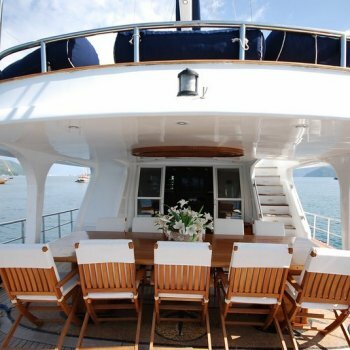 Her 4 cabins are spacious and dressed to the nines with a unique decor for 8 guests on board. The Esma Sultan 2 gulet offers a variety of features on board to please her guests with water fun activities as the enjoy a lovely Turkish gulet cruise.